Looking for something with style and class? 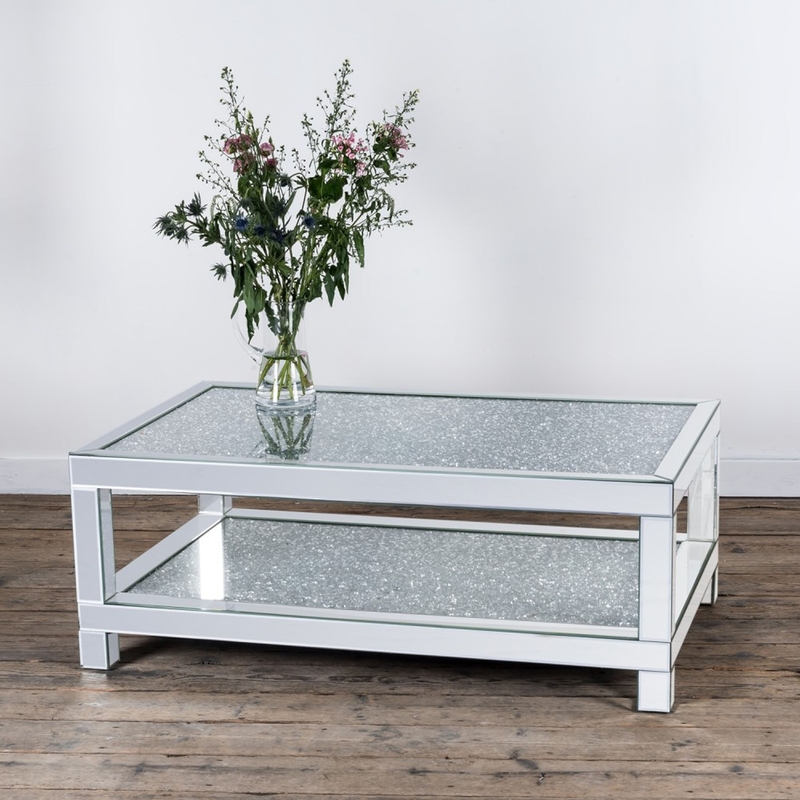 Well this Mirrored Venetian Crushed Diamond Coffee Table if perfect for you. With an array of crushed diamonds under the clear glass this will simmer beautifully in any light. Also, with a lower shelf perfect for storing anything your heart desires. Finished off with a complete mirrored outside this beautiful coffee table is bound to turn heads and lighten up your room.